As a superstar of the fashion world she is relied upon to rock a variety of different looks. 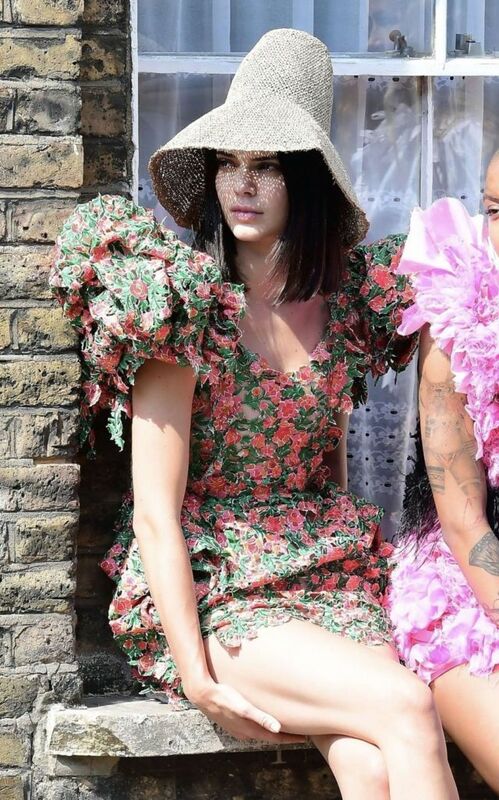 And Kendall Jenner, 21, sported perhaps her most outlandish ensemble to date as she stepped out in London for a photoshoot on Friday. Centre of attention was a coned straw hat that had been placed upon the Californian clotheshorse’s head, with a large floppy brim obscuring the upper half of her pretty face, leaving her struggling to see. Proving that modelling can be somewhat of a perilous, as well as glamorous, career , the star also teetered on seven inch heeled black and neon peeptoe boots as she slowly made her way through the capital’s streets.